You’re invited. Only a select few will receive this invitation. A smaller margin will accept it. Does it make you feel important when you get a special invite? Or only if it’s personalized? More people read this blog than I know about. If you want me to know you’re reading, leave a comment. It could be one or two words. Sometimes, I feel like I’m speaking into a void. According to the analytics, I have about the same number of blog subscribers as I do newsletter subscribers. However, when I compare the two lists, they don’t include the same people. Maybe you found this blog before I was a published author. I wouldn’t have been building an email list at that point. Maybe you found this blog by following a comment I made on another blog. In that case, you might not even have realized there was an email list to join. It could be that you like my blogs, but you don’t read books. Plenty of people prefer reading in small bites, and blog posts are best for that. For an author, though, the list of email addresses I collect is incredibly important. What’s So Important About It? This is important to the release of any new books. I can keep my readers posted on the release dates, and if they pre-order or purchase on the release date, it pushes the book higher in Amazon’s rankings. Authors care about Amazon rankings for a couple reasons. One, it gets their book in front of more readers who are on Amazon searching for something to read. Another reason is to claim the “best seller” tag. I talked more about this in an earlier post. Even though I got the orange tag on the Kindle World novella I released in March, I don’t claim to be an Amazon best selling author. I explain that in the post, too. A list of email addresses tells publishers and promoters that there’s a good chance I will sell books. It makes me look like a professional. If I independently publish another book in the future, the list is important to help me find reviewers, influencers and have a successful book launch. So, if you subscribe. Thank you. If you’d like to help with all this stuff, sign up now. My subscribers see the new covers as soon as I get them. They get a chance to ask for a free copy in exchange for an honest review. If there are sales on my books, I let my list know about that immediately. I don’t use my list as effectively as I could for launches. Most authors send weekly reminders about these, and I don’t. Why not? I hate to clog up your email inbox with a bunch of stuff. If I don’t have something new for you, why am I contacting you? Maybe I’m wrong to feel this way. If you’re irritated by those people who send you the same sales pitch week after week, I’m with you. And I strive to never be that person. Why not sign up for my Hero Delivery (clever name, right? Thanks, Social Media Jedi Kristen Lamb for suggesting it) email list now? I don’t expect you to give me your email address for nothing. Not at all. I’m happy to give you something in exchange for permission to email you every now and again. As soon as you sign up, you’ll get an email with a link to a free story. Recently, I sent a newsletter that included two links to freebies. Let me know what you’d like to read about in the emails. Oh, and how often is too often? Would you mind if I sent two emails per month even if I didn’t have a new release or promotion? Years ago, a pastor suggested reading through the Book of Proverbs every month. One chapter per day, 31 chapters in the book, seemed like a reasonable idea. Especially if you’re looking to be wise. Wisdom isn’t a highly sought after commodity in many circles. People are content to “know enough” to do their jobs, take care of their family and have a good time. We know I’m a recovering Type A perfectionist, so the thought of NOT being wise rubs me the wrong way. I mean, if it’s as simple as reading a chapter from the Bible every day, why not? Because God’s Word is a living book. Every month a different verse will stand out or stomp my toes. So, I’m sharing the first week of daily reading memes here. Maybe you’re looking for some wisdom in a world gone crazy with blame and accusation. Why not give A Proverb a Day a test drive? I know I’m a day behind for the week, but bear with me. Look at that! One week of considering words of wisdom is in the bank. Don’t you feel wiser already? What is your definition of wisdom? How do you cultivate it in your life? Last week, I wrote about how small goals got me published. And I talked about the three-step process I used to attain that goal. But does that help you set goals you can reach? Because if you can’t set reachable goals, you’re never going to move from where you are now to where you want to be. During this month, I’ve been working through a weekly course by Kimberly Job. It’s helping me plan my writing and personal goals for 2017. And all of these things are going to happen because I’m working step-by-step plans for each and every one of them. These aren’t small goals. My post last week suggested starting small, so if you’re new to the whole “reaching goals” mentality, please read that post. Starting small will keep you from giving up. I promise. But if you’re ready to tackle something bigger, read on. This is the most important step in setting goals. Unfortunately, it’s also the one people tend to rush or ignore. No wonder they aren’t reaching their goals. Kimberly Job of Sublime Reflection spurred me to evaluate myself more deeply than I have in other years. She offered a free four-week course and the first week was all about this step. You can check out that course here. Before you set out to make any goals, take time to journal through 2016 in each of these areas. You might be surprised what you discover about your successes. Also, this reflection should focus your thoughts on what is possible and what doesn’t work. Both of these things are important to know before you can establish attainable goals. The Sublime Reflection course spends the entire second week on brainstorming. If you’re not a fan of brainstorming, I know you screwed your face into a wrinkle-causing grimace. The way the course breaks your life into ten segments and has you generate ideas specific to those makes the process run smoothly. My favorite part was coloring the Wheel of Balance. It also showed me which areas of my life needed my attention. Wouldn’t you like to know where to focus your attention in 2017? Why set another goal of “exercising more” if that’s really not what you need to do in order to reach the bottom line you want? And what does “exercise more” even mean? You’ll need to make your goals narrow and specific in order to know if you’ve reached them. Can you guess which areas received the lowest rank in my world? What tops your list? After I discovered my three very weak and two additional not-strong categories, I brainstormed a list of things I would like to accomplish in each area. Job encouraged us to list at least five in every category…and to leave the lid off. Yes, if there were no constraints, what would you like to do with your career? Or your physical environment? The thing about letting out the crazy dreams during brainstorming is that sometimes we realize they might not be so crazy after all. Not if we can figure out how to build a series of baby steps to reach them. Thinking you can will lead to failure. Sure, it might give you a false sense of accomplishment for a few weeks or months. Then the stress will blindside you. And the urge to pack up your pencils and bury yourself beneath the covers will rear up. If I set the goal too low, I can always add another goal once the first is reached. But I’ll be able to check off a box. It feels great to make that mark. The important thing about your goals is to make them specific. For example, my career goal is not “sign a publishing contract.” That’s pretty broad. If I sell the book to a small press, I won’t have reached this goal. Of course, I might decide that’s a fair compromise and don’t need to consider that a failure. But setting a specific goal will make me work furiously on the rewrites and edits for this manuscript so I can start querying agencies in February or March. Because it will take six to nine months to get a response once they ask for the full manuscript. Each one of the goals you set for 2017 requires it’s own plan of action. People don’t get published on accident. People don’t lose weight without working at it (unless they’re ill and then that’s not a good thing). Your life will not get better if you don’t take steps toward making it better. I talked about creating a plan last week. Check out that post or follow the links to other wise planners below. What’s the best goal-setting advice you’ve ever received? It’s that time of year again. The end is in sight and us type-A types start thinking about setting goals (or making resolutions) for the new year. Setting goals got me published. It sounds trite, I know. Don’t dream it, do it. And a million-and-five other sayings that are straight from the lips of Zig Ziglar or some other motivational speaker. But take it from me, setting goals is the first step to reaching your dream. I know because I’m living my dream. And setting small goals and working step-by-step plans to reach each one got me where I am today. And 2017 is the year these same planned goals are going to get me a traditional publishing contract. And an agent. A publishing contract is a BIG goal. Which is why I didn’t get it the first year I was writing full-time. Now that I’m three years in to this full-time author gig, I’m at the place where this is an attainable goal. Finally. But I was pretty discouraged the first year when I went after this goal and failed to attain it. And I did steps one through five…for three separate novels. And I still don’t have a publishing contract for a novel. In fact, I’ve never even gotten a request for a full manuscript from an agency. And I have reached that goal four times. In fact, I’ll have a novella published in February by the first publisher of a short story I submitted. Better yet, I have two sequels in mind to continue the story of that novella that the publisher wants me to submit once I get them written (and revised and edited). Big goals are hard to reach, so when you start down a new path, set small goals. This is the same for changing your eating habits, losing weight, beginning an exercise regime or learning a new hobby. If the goal is too big, you will fail to reach it. Then you might be tempted to give up. And a quitter never lives their dream. Once you’ve imagined a goal for yourself, it’s time to make a plan. Don’t think a sketchy outline will help you reach your goals. You need a step-by-step plan of attack if you want to succeed. Oh-kay. How do I find a plan? How to I plan the meals or exercise? And are there specific steps to following the plan? These broad, vague steps are a recipe for failure. Seriously, it’s like saying if you stir flour sugar, eggs and vanilla together with a cup of butter you’ll get cookie dough. Some of these steps are fairly broad. Break them down further if it motivates you to check off a step. You can make writing each chapter a separate step if that lights a fire under you. Small steps climb the ladder to your goal. Seriously. If you tell me I can have a small piece of dark chocolate after I run a 5K, I’ll be tying my running shoes on. The key is to find rewards that motivate YOU. Maybe it’s buying a new outfit. Or going to dinner with a friend. It could be a weekend at the beach. Small accomplishments should have small rewards. Bigger accomplishment = bigger reward. I’ve been telling my husband that as soon as I sign the contract for my novel and get a hefty advance, I’m going to buy myself an Audi Q5. That’s a huge incentive for me. What goals will you set for yourself in 2017? 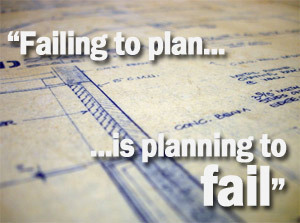 Do you have a plan to reach them? What reward would inspire you to work through the tough times? During NaNoWriMo, I trained my Dragon. I know you are thinking: “NaNoWriMo is supposed to be about writing words.” Silly you. I got Dragon Naturally Speaking software a couple years ago. My husband knew I wanted to try speaking my writing. The next year, he bought me a new computer which had the Microsoft version of voice control, whatever it’s called. To this day, I don’t use either of these tools. Hey, it’s not my fault! I tried to train this silly Dragon, but not as regularly as I should have. I let it import my emails, my documents, and anything else it wanted in order to help it learn my writing style. Too bad it didn’t learn too much from that. Several people recommended that I just read some of my writing to it. Because, yeah, I’ve got lots of time for recreational reading aloud. Don’t they know I’m supposed to be writing? A few weeks ago, I saw this book titled 5000 Words per Hour. I thought the author must be crazy insane. But no, he had even managed 6000 words in an hour to add to his manuscript-all using Dragon software. Okay, I write 1000 words per hour. I know this is a professional writer pace because I know professional writers who tell me that’s how much they write per hour. Shouldn’t I be happy with a thousand words per hour? And then I remember that I have this awesome tool. The same tool Chris Fox, the amazing 6000 words per hour man, uses to do so much incredible writing. Shouldn’t I use this tool? So I decided to give it another try. That was on October 29. Yes the same October 29 that is exactly THREE days before National Novel Writing Month. I must be insane. And why not? November, when I’m participating in NaNoWriMo, is all about insanity, isn’t it? As soon as I got done with my Skype meeting with the amazing Chris Fox, I tried to use the Bluetooth headset that came with my Dragon Naturally Speaking. I never actually used it before, and apparently my computer did not recognize it. So I pulled out my old Logitech headset and plugged it into the USB port. Aren’t Í cute? And then I started talking. These are the words I said. Can you tell this by looking at them? While they were coming up on the screen, I felt so foolish. Shouldn’t I be typing? Isn’t that the way I get my words on the page? While I speak, Dragon pad doesn’t tell me how many words I’ve spoken. I tend to think that I don’t know how long I’ve talked, but I could’ve typed it all faster. In any case, I agreed with the masterful Chris Fox to give myself a goal every day during November and use Dragon. Starting Monday, I will speak into this dictation box for ten minutes (slightly less time than it took me to speak this blog post). Then I’ll copy and paste my lovely words into Scrivener. And I’ll start the real writing (a.k.a. typing). Depending on how well it goes, I will increase the number of minutes that I use Dragon every day. After all, I can’t get better if I don’t use it, right? What’s your bet on this situation, reader? Will my Dragon be well-trained enough by the end of November that I can use him for my regular writing? Maybe you already use Dragon. If so, give me your advice. It’s pretty apparent that I need it. Waiting for News? Write on! By the time you read this post, it will have been four weeks since I mailed out my queries for Doomsday Dragons. The first week after they were gone, I was still combing through the manuscript. I read it aloud. Strengthened the sentences with stronger verbs and more precise nouns and descriptors. Tried to polish it to a sparkling gem. Then I closed the Scrivener file and moved on to a different project. What? Did I check my email every ten minutes looking for manuscript requests? Not really. But I didn’t need to. Shock of all shockers, I had answers to some of the queries in the very first week. In fact, within six days, three agents responded with “no thanks.” I was impressed by this because all of them requested between four to eight weeks to get through their queries. One of these only allowed query letters. Their only taste of my story came from the query description. Obviously, they weren’t impressed by dragons. The others? I guessed they also probably weren’t piqued by a dragon story. It takes a very specific sort of person to imbibe the myth and fire. The fourth response was a notice of an undeliverable mail. So even though I checked all the links and double-checked all the email addresses, one of the agencies was no longer receiving mail at the address they advertised on their website. Four of twelve responses within one week. Not too shabby. Except they all amounted to 100 percent rejection. There were just as many who made no promise to even respond to every query. Of the twelve, four of them said that hearing nothing after a certain time frame would be equal to a “no thank you” email. The surprise? The amount of time given before drawing this conclusion ranged from two weeks to twelve weeks. Talk about holding out hope. Or maybe it would be more accurate to assume dashed hopes. And then if an email magically appears, it can only be good news. Of course, the two people I pitched my idea to at the writer’s conference will get the full 90 to 120 days before I begin to assume the worst. I hope they’ll remember me favorably enough to offer advice if they decide the project isn’t for them. Don’t I deserve at least that much? That leaves only two out of twelve agencies that will still respond to me sometime during this lengthy waiting period. Fortunately, I’m not holding my breath. I’m not sitting on my hands or biting my nails. I’m following the professional writer’s prescription for winning this waiting game: write something new. In fact, I had to polish a novella that’s coming out in a month or two and deliver it to an editor. Then I nibbled on the idea for another short story. And, of course, the women’s fiction novel I’d begun writing while waiting for the last of the beta edits on Doomsday Dragon still needed finishing. The best way to insure a watched pot boils is to walk away. In writing terms: write something else without constantly checking your in-box. #BePositivein2015 is my annual focus. If you follow me on Twitter, you’ve been barraged with posts having this hashtag or something like #Positiveattitude. Does that mean I haven’t said a negative word all year? Or that all my thoughts have been positive and uplifting? I won’t dare God to send a lightning bolt my way by responding to those questions. Obviously, I’ve had a few negative moments hours days. Who can live in the midst of this tumultuous world and not experience a few BB shots to their outlook? Overall, 2015 had offered many positive changes in my life. Of course, change isn’t easy, even when it’s expected and desirable. If I could compartmentalize my life, it would fall into five loose categories: Physical Health, Spiritual Health, Family Life, Writing Career, and Social Outlets. In every category, I have experienced change and growth in 2015. When we’re talking Physical Health, growth isn’t necessarily a good thing. But I have – put on the pounds that is. Now that summer is here, my 30-year class reunion is mere weeks away and a special vacation is planned for January 2016, I need to cut myself down to size. I work out because it sends endorphins into my system and works as an antidote to the depression that plagues me (especially during gray months). However, my eating habits have become horrible. My Spiritual Health always resembles a roller coaster ride. And we all know how I feel about roller coasters, so this isn’t a positive thing. I’m working on it. If you’ve been following my blog, you know the Family Life compartment has been spewing into all the others. There are changes (and there will be more when my son gets married in January). I haven’t handled some of them with good grace. In fact, for many weeks this area has become nearly a negative in my world. Finally, the Social Outlets have been nearly non-existent for several years. Since I started working from home, really. I am building relationships with other writers, but I’m in sad need of other friendships. Wait! What about my Writing Career? That has been the one bright spot in my world since my first acceptance letter in November 2014. It isn’t all sunshine and sparkles, though. I’ve recently recieved two rejections for short stories I worked diligently to perfect before submitting. One of them, a YA sci-fi historical, really made me feel proud. I’ll be seeking a home for it elsewhere. The YA romance wasn’t as polished, but the subject matter is gravely important. I intended to run a blog series about the antagonistic issue in the story – Non-Suicidal Self Injury (often called cutting) – to raise awareness – and prime my audience for the story. How are rejections positive? They mean I’m finishing projects and putting them out into the world. That’s what professional writers do. I also had a short story accepted. I’m not really free to talk about this until the official release comes from the publisher. You can expect an entire post dedicated to it once that happens. I’m still trying to focus on the positive. I hope it becomes a lifestyle for me. At the moment, I need your help. I’ve exhausted the seemingly endless supply of upbeat quotes about having a positive attitude. Do you have words of wisdom along these theme to share? Maybe you’ve been inspired to stay positive by someone else’s words? Please share these in the comments below. I will make memes of all and share them via Twitter. If the words belong to someone else, please credit them. If you don’t want your wisdom plastered around the Twitter-sphere, mention that in your comment. But please, PLEASE share the hope with me. I’ve got the blues. Since sending my two fiction books to beta readers in late January, I have been floundering for true writing direction. Fiction or nonfiction? That is the question. Let’s face it, most people who dream of writing, dream of writing a knock-out, impossible-to-put-down novel. They want to weave the perfect story with stellar prose, memorable characters and gripping plot. If you claim to be an author, people don’t expect you to list nonfiction titles when they ask what you’ve written. Nonfiction is so stuffy and boring. Why would anyone volunteer to write a textbook? Sure, only a few nonfiction titles have achieved amazing notoriety. “Who Moved my Cheese?” is one little pamphlet that comes to mind. Although, everyone is familiar with the line of “for Dummies” books. I have steered clear of nonfiction because of the research involved. I finished my Bachelor’s degree in July of 2013. Long before that day, I reached my research quota. And I’m not really anxious to dig in again. However, I do have several book ideas that would be classified as nonfiction. If you dare, take a peek into my brain to see what other ideas I have. What should my next project be? You’ve seen the list. What do you think would be a good investment of my time – AND find a market with my readers?